Charles Barkley's A Great Tipper Says Michael Jordan's A Cheapskate!! Charles Barkley’s A Great Tipper Says Michael Jordan’s A Cheapskate!! 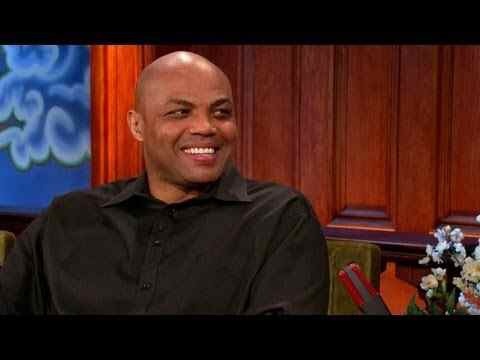 In this video clip, Charles Barkley talks to late-night television host Conan O’Brien about the importance of giving back to others. He claimed to have tipped someone $25,000 once after winning over $700,000 playing a blackjack game. Barkley said that out of all of his celebrity friends, Michael Jordan was the cheapest. This video is in contrast to a report 20 years ago that Michael Jordan gave Spike Lee the money he needed to complete his film about Malcolm X. Some wonder if this was just one of Michael’s “secret initiatives” to help the black community, or if he was just doing a favor for a friend. The Barkley video is below. Take a look.